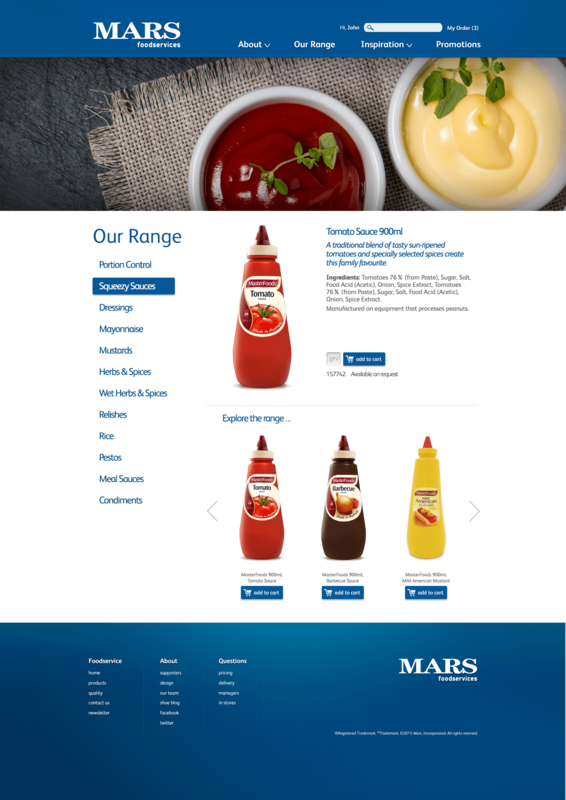 Mars Foodservices wanted to ensure that website visitors, friends, and clients could easily find what they were looking for. Therefore, the immediate focus was to improve the website conversion, making the storytelling within the site more cohesive and visually appealing. Together we came up with a stronger overall experience in presenting and exploring products, which centralised the products making the site more engaging and simpler to navigate. 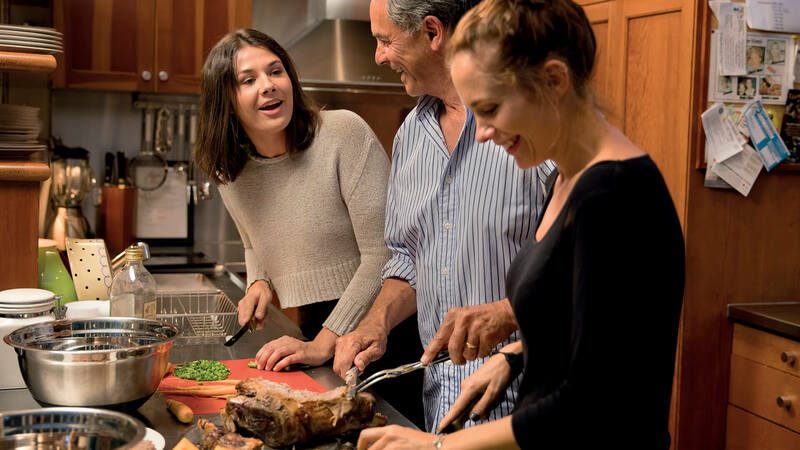 The inclusion of recipes (downloadable or viewed online) created interaction, which was lacking in previous site. 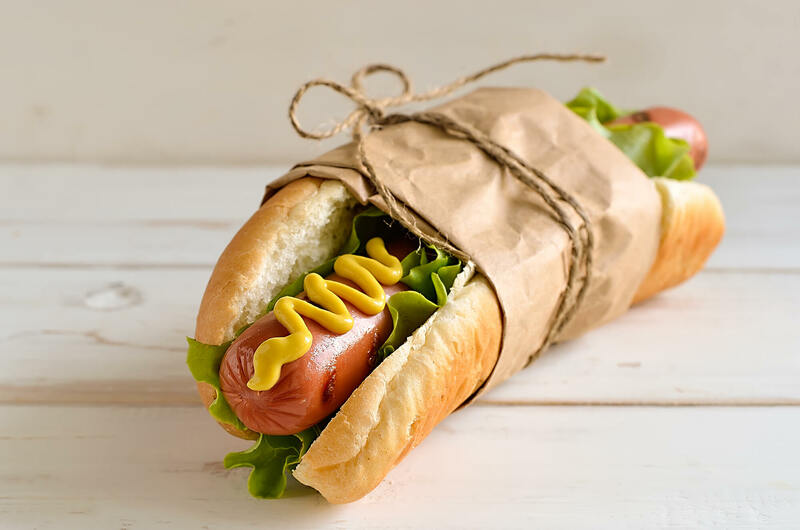 A picture is worth a thousand words, so we let their pictures do most of the talking on their site. Featuring rotating hero images on the landing page to entice viewers to enter and explore the site. 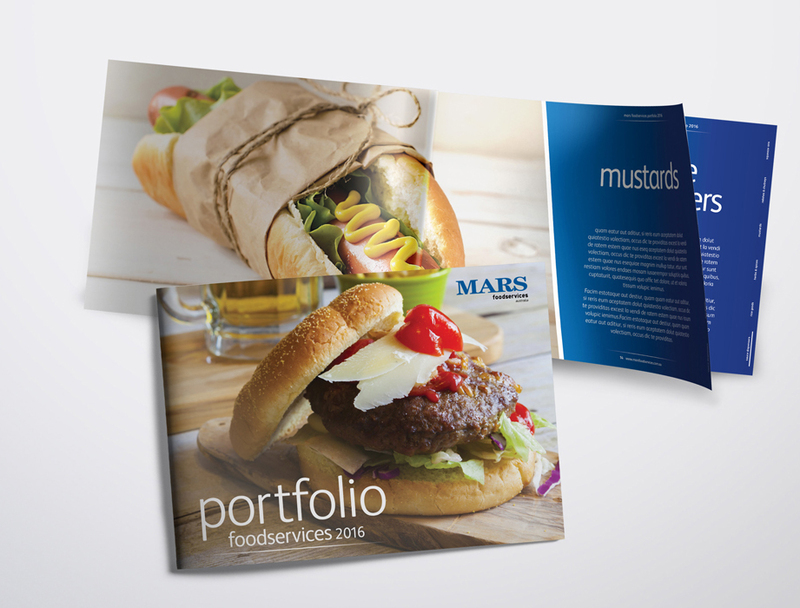 We chose images with a more gourmet feel, enabling a premium finish — which was the clients desire. 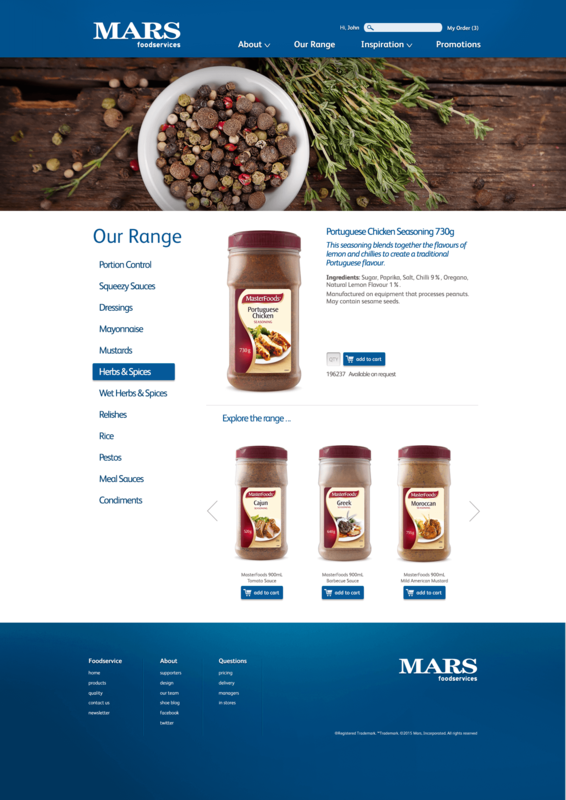 Another key addition was a ‘Inspiration’ dedicated page that features ‘Delicious Recipes’, ‘Chef’s Suggestions’, ‘Cooking Videos’ and ‘New Flavours’ — all of which promote Mars quality stamp of approval — building trust and quality assurance to the brand. 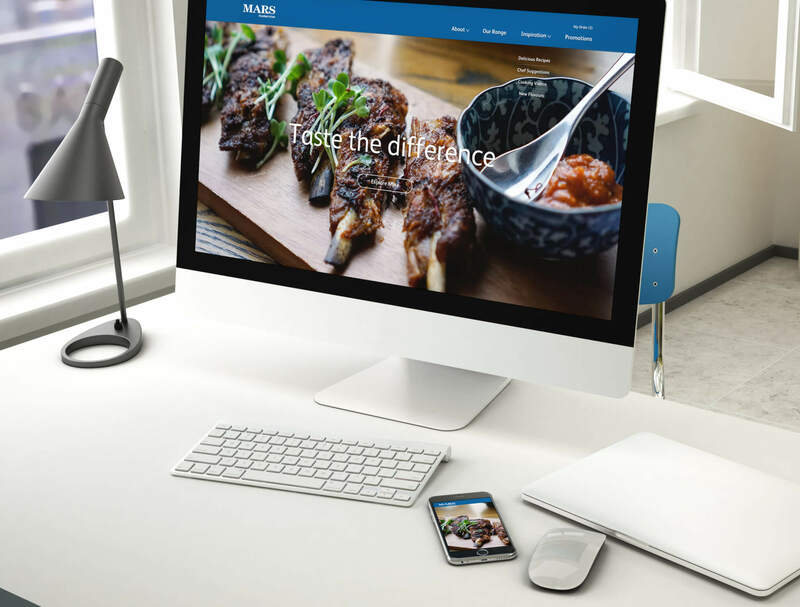 "Key challenges were to create a multi-layered website that created a user friendly experience whilst conforming to corporate marketing standards. Bolder first researched into previous websites that were developed, took learnings from what worked well and what didn’t, then used this to create something that was up to date and relevant with new technologies. My brief was understood and what was developed met my desired outcomes. They also bought creative and expansive thinking to ideas – build on’s from what was “trending” to what key requirements the website needed to have in order to be successful to the audience I was targeting. The Bolder Creative team are highly professional, easy to communicate with, enthusiastic and prompt in delivering their time and services. Highly recommended and we will continue to work with them."